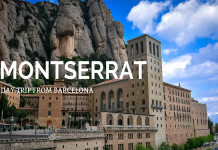 Why Visit Barcelona? Beauty in the Catalan Capital! Home Spain Why Visit Barcelona? Beauty in the Catalan Capital! With such a plethora of history and Gaudi inspired architecture, it may be surprising to hear that Barcelona is also home to a modern era of both architecture and cultural phenomena. So why visit Barcelona when we constantly hear claims that this city is trying to cut down on the amount of tourism being driven here? During our recent visit to Spain’s second largest city, we enjoyed a 48 hour tour of strolling the streets taking in a mixture of both modern and contemporary Barcelona architecture. This on it’s own was enough to convince me that experiencing the Catalan capital is a must on everyone’s bucket list! Walking around Barcelona, it is hard not to be impressed by the contrast of modern day design and well-maintained history. The beauty of Barcelona is that you can be walking along the Passeig de Gracia taking in the ritzy designer stores and modern renovation, yet at the same time probably not knowing that the hexagonal tiles you are walking along on the pavement are a tribute to Gaudi’s influence on the city. 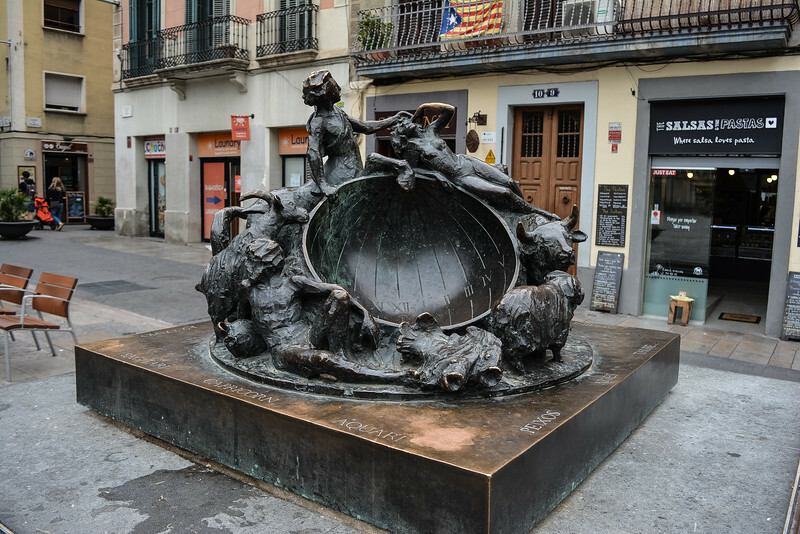 Take a few more steps off the Passage de Gracia and you are in the Gràcia neighborhood which offers a very distinctive blend that typifies this ‘modern’ vs ‘contemporary’ feel we refer to. 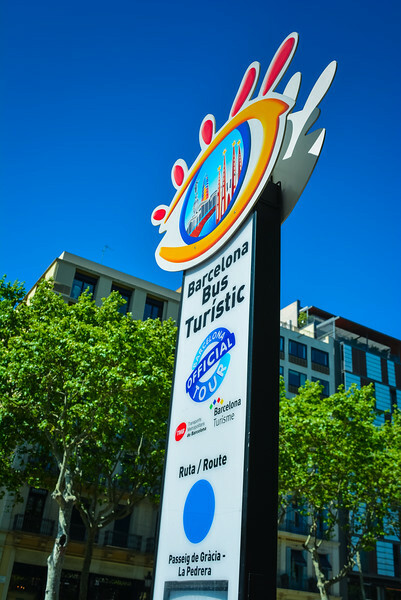 Courtesy of our partnership with the local Barcelona tourism board, we had access to the Hop-On, Hop-Off bus which is a great way to see this city. 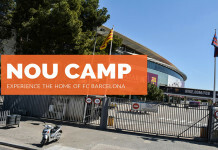 Three distinctive lines (green, blue and red) that provide access to different suburbs and regions of Barcelona, purchasing a daily or two-day pass is a perfect option if you are seeking convenience in exploring some of the key tourist attractions. In our opinion, the beauty of this pass is that not only can you see gorgeous attractions such as Park Guell and La Sagrada Familia, but you can also hop-off the bus and explore some of the hidden gems around Las Ramblas and other medieval parts of the city. 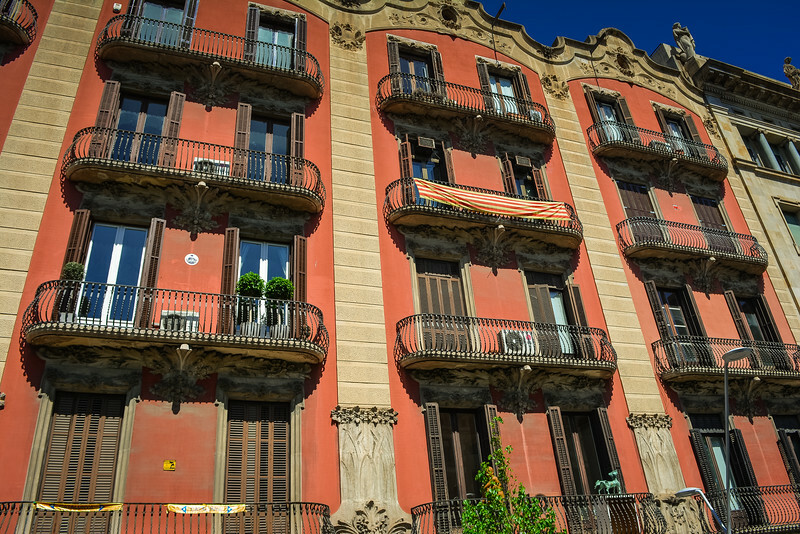 When you start exploring the real Barcelona away from the tourist traps, this is when you find the contemporary architecture and heritage that continues to thrive through local patriotism. 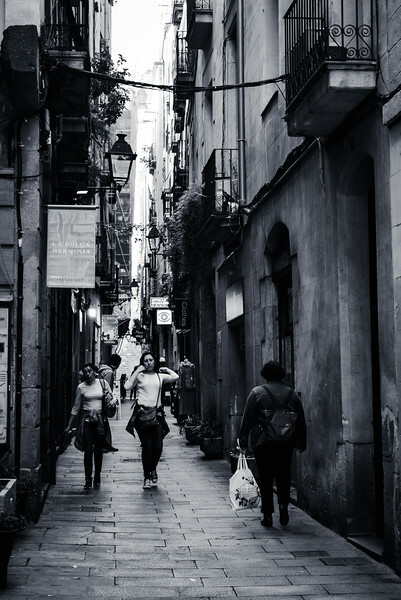 Two distinctive areas that we really enjoyed walking include the Gràcia neighborhood and the Barri Gòtic (Gothic Quarter). Antoni Gaudi played a key role in designing what we now classify as ‘contemporary’ Barcelona but the narrow streets and idyllic squares are what really make this city an intriguing one to explore. 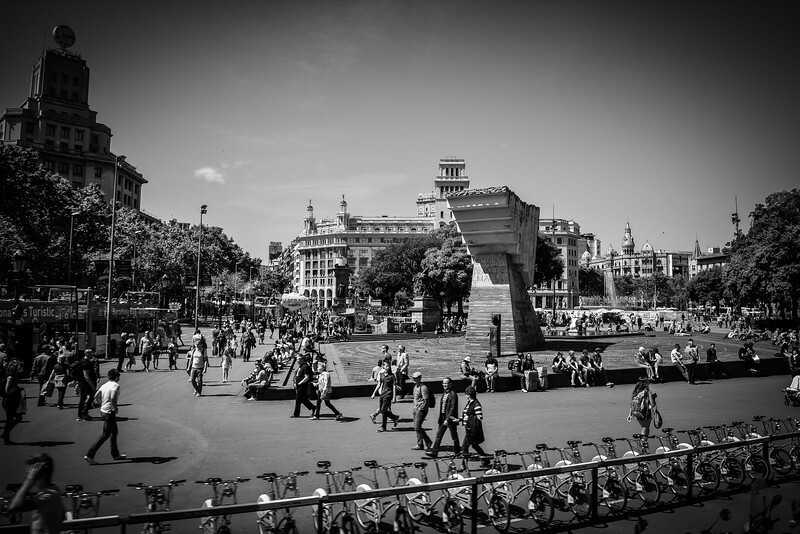 The charming squares of Plaça de la Virreina and Plaça del Diamant ensure that Gràcia continues to be a thriving community for locals to hang out and sip a glass of vermouth at the 1:00PM hour. 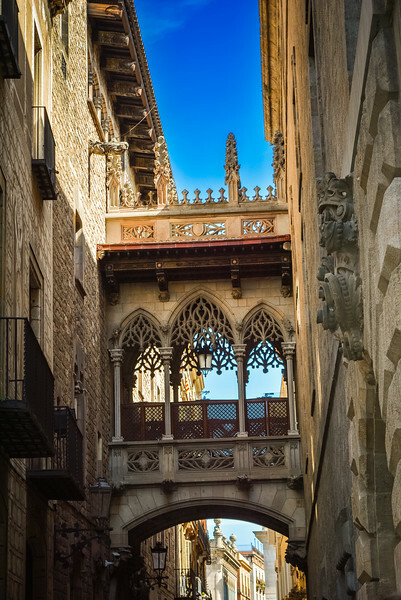 Perhaps taking a walk along Carrer del Bisbe under the neo-gothic style bridge is needed to sway your opinion that Barcelona is well and truly established as a contemporary metropolis. After leaving the Passeig de Gracia and heading away from the Las Ramblas boulevard, you are immediately enclosed by the medieval feeling of the Gothic Quarter. But rather than fearing your surroundings, instead there is a surreal feeling that encapsulates you as you peer around the stunning architecture and essentially try to get lost among the hidden streets of this neighborhood. 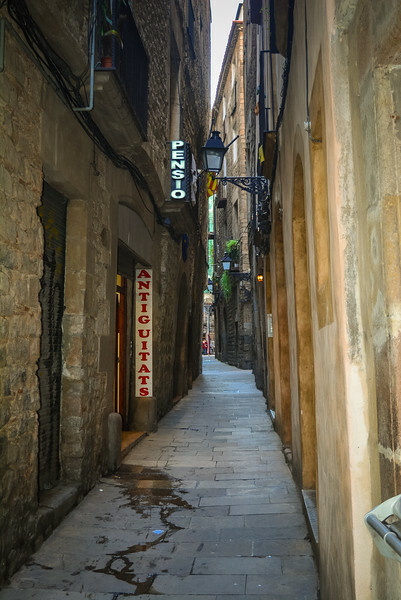 The abundance of tightly enclosed side streets may leave you wondering about safety, especially at night, but at no point while we were exploring this part of Barcelona did we feel uncomfortable. Many of the local tapas bars and restaurants are hidden around these street corners, one in particular being El Guindilla along Carrer de l’Argenteria that we would highly recommend. Roman walls surrounding the Barcelona Cathedral present the entrance to the Gothic Quarter. 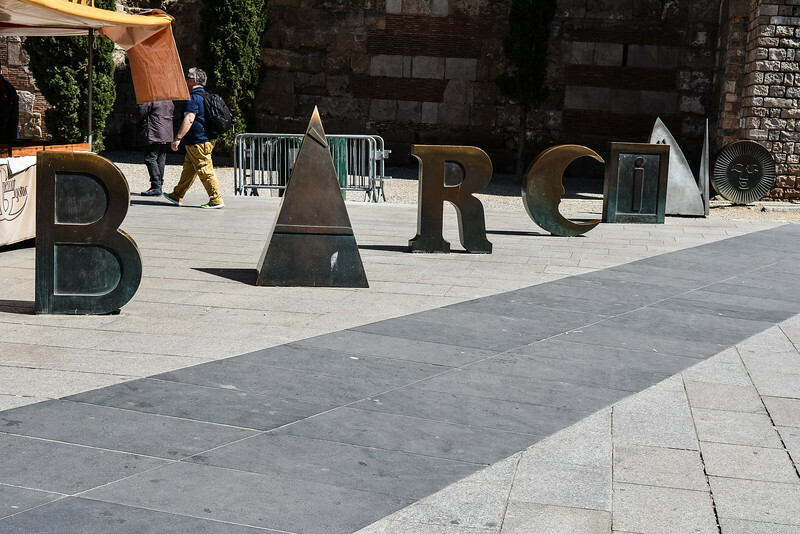 As we explored the market stalls in front of the cathedral, we noticed the bronze letters that spell the word ‘Barcino’, a tribute to Colonia Iulia Augusta Faventia Paterna Barcino (origin of the present day city name – Barcelona). Another of the contemporary areas of the city can be found close to the neighborhood surrounding the Plaça d’Espanya and Palau Nacional. The infrastructure here is breathtaking with huge columns serving as an entrance to the road leading to Palau Nacional. In many ways this is equivalent to the Champs Elysees in Paris, but in my opinion Barcelona wins this battle with such a gorgeous construction at the end. 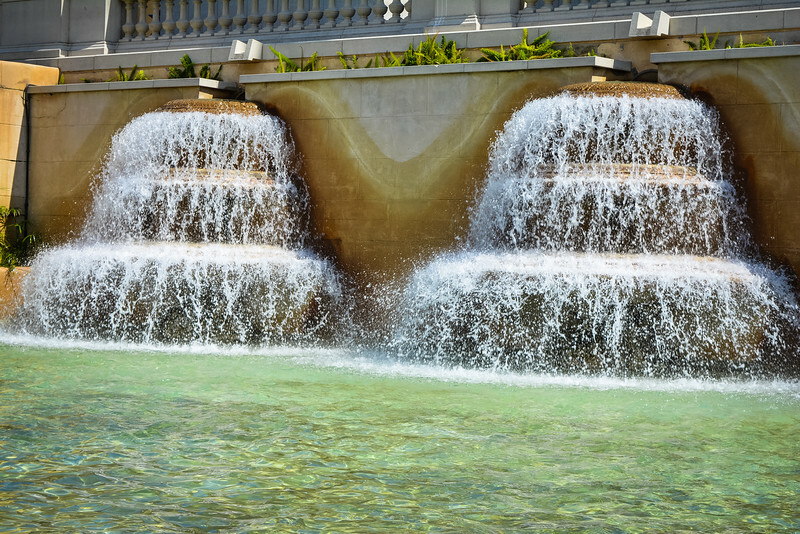 Numerous waterfalls and fountains are directly in front of this museum, yet the real beauty lies within the construction of the building. Modern architecture throughout Barcelona is becoming more apparent, as architects are inspired to challenge native locals to appreciate other constructions away from Gaudi. Although much of the modern day design is very unlike anything Gaudi designed, there is enough in the vibrant color choices to ensure his inspiration lives on. 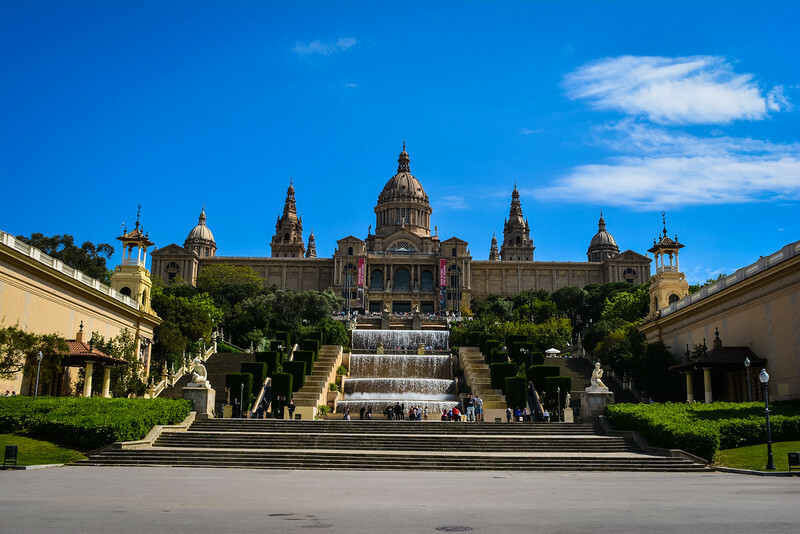 Whether it’s the remarkable design of Jean Nouvel’s Agbar Tower in the heart of the city, or perhaps you are intrigued by the construction of the Estadi Olímpic de Montjuic, there is plenty to see around Barcelona to prove that this city has successfully blended old with new! 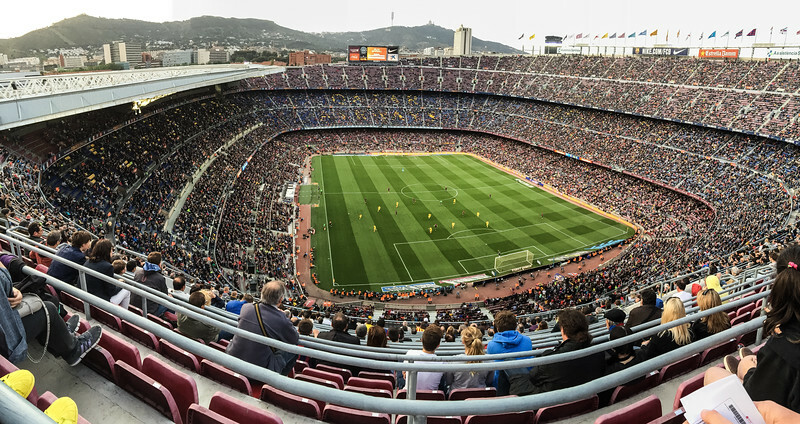 The ‘Camp Nou’ stadium, home of the mighty FC Barcelona football team, is another impressively structured design. 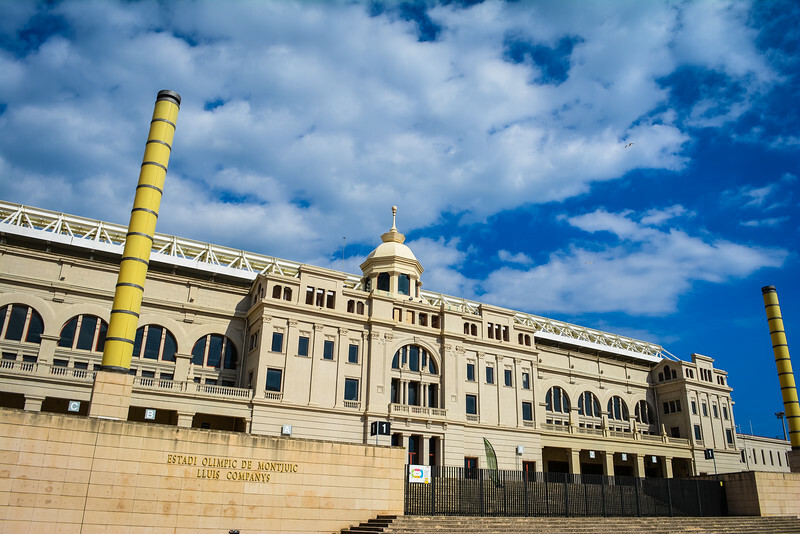 The Hop-On, Hop-Off city tour bus takes you directly past the stadium and after changing from the blue line to the red line on Avenue Diagonal, there are a number of gorgeous spots on this route worth experiencing. 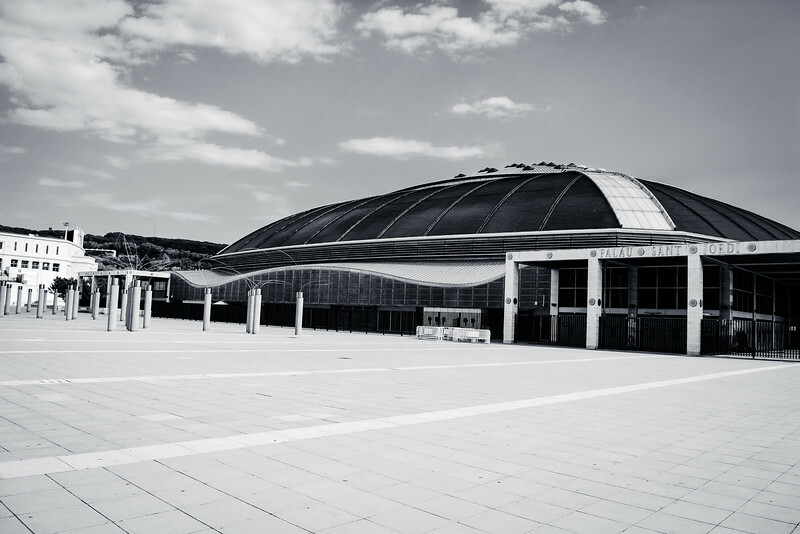 As you leave the confines of the city center, head towards Olympic Park and the home of the 1992 Summer Olympics. 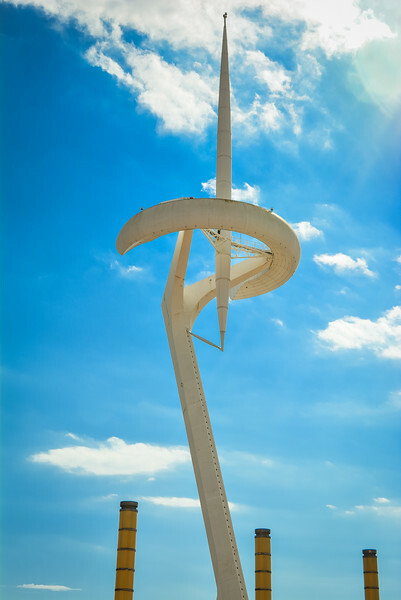 The scene is set with the gorgeous Olympic stadium but another impressive structure is the weird yet wonderful design of the Torre de Calatrava, a telecommunications tower that is inspired by the idea of an athlete holding the Olympic flame. 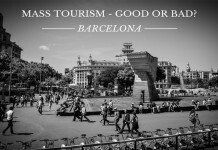 Looking at reasons why you should visit Barcelona, I really could have given recommendations from a variety of angles. Cuisine, culture and of course architecture are all eye-catching reasons to explore this beautiful city. We spent a hectic 48 hours exploring Barcelona, trying to find some of the hidden secrets that lie within the medieval walls, but of course the beauty lies everywhere you look as you explore every part of the city. 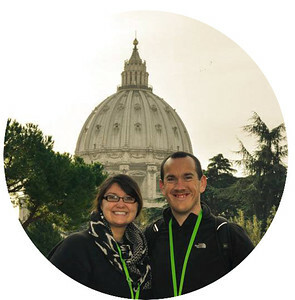 We are both really excited about re-visiting Barcelona to hopefully find some more hidden gems and spend more time taking in the stunning architecture that fills the entire city. Disclaimer – We would like to thank Turisme de Barcelona for providing us with 2 press cards for our trip. These are solely our personal opinions/experiences and we were not financially compensated for this post. I NEED to get to Barcelona fast! Everything about the entire country calls my name, and this specific city in particular sounds so amazing! Barcelona is absolutely beautiful. There are lots of reasons to why you should go on vacation to. If you come to see it I recommend you do it through Genteel Home. They have luxury apartments in Seville, Malaga, Granada, Madrid and Barcelona. In the center of each city and at a reasonable price. So you will enjoy the best of the city.